Introducing the new PRGR EGG Series! New Driver, fairway woods, utilities, irons, and even golf balls are scheduled to release mid September. I have had demos for weeks now and have hit them we will be posting individual club reviews this and next week. Needless to say I was very impressed and know these will fit a wide segment of amateur players who prioritize distance, forgiveness and technology over all else. 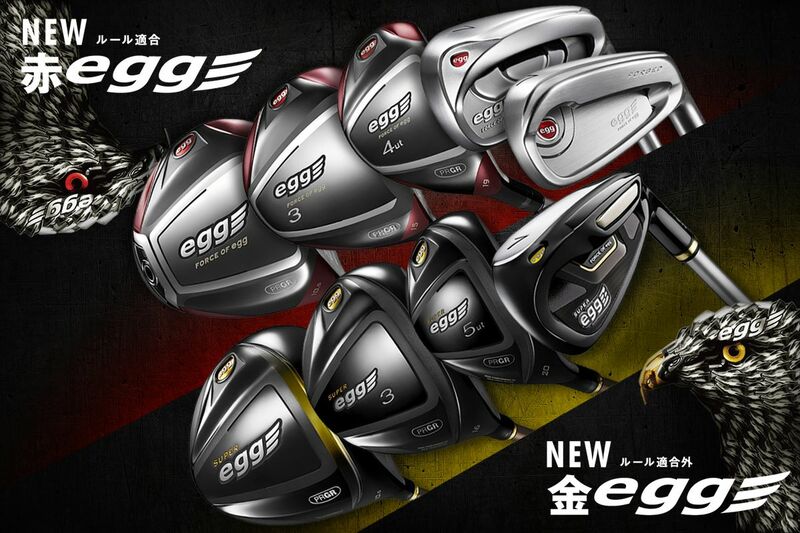 PRGR has been doing the EGG series for many years known as super long, higher launching and forgiving golf clubs. PRGR as a brand really pushes the envelope when it comes to design beating to a different drum compared to other golf companies, they measure information differently and use unexpected solutions to solve problems for the player. From measuring grip speed over club head speed to using open faces on most of their clubs (measured differently) PRGR also seems to patent a lot of their technology and sometimes feature multiple patents in a single product. The parent co. of PRGR also known as Pro Gear in Japan is the Yokohama Rubber Co. They make tires, hoses, industrial materials for all types of craft. Follow the Jump to get a brief run down of of the new Egg 2017! Let’s start with the woods first thing to note is that anything “SUPER” in PRGR is Non-Conforming. The SUPER’s theme is black and gold. That means a little more distance I would say at 100mph center of the face you can gain 5-10 yards. The actual COR is 0.86 where as conforming clubs have a maximum COR of 0.83. TourSpecGolf has the most experience in selling non-conforming clubs and we also receive the most post purchase feedback from our customers and people do report the occasional freak +15-20 yd pops but face breakage at 100mph is an actual risk. The Fairway wood and utility are both non-conforming as well. You see that’s PRGR pushing the envelope again, making non conforming fairway woods are even today rare and only found in Japan now making a non-conforming utility wood, that’s pretty much unheard of. PRGR also has a 2 conforming Egg drivers both have a black and red theme. 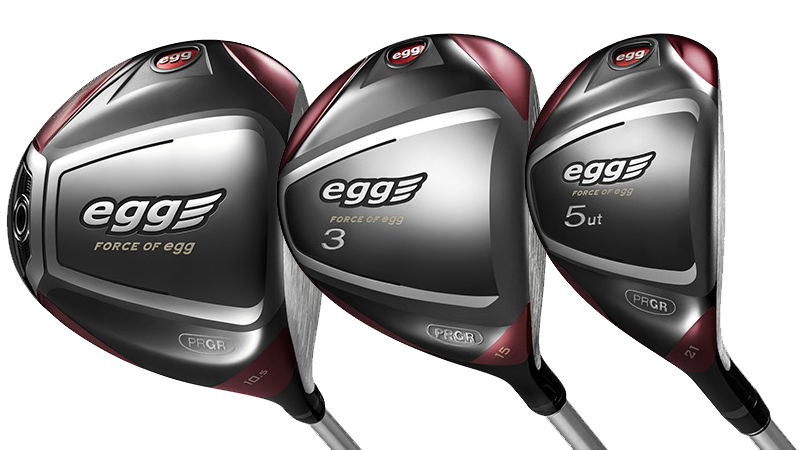 The first is the EGG IMPACT SPEC made with a heavy 202g head and short 44.5″ length. 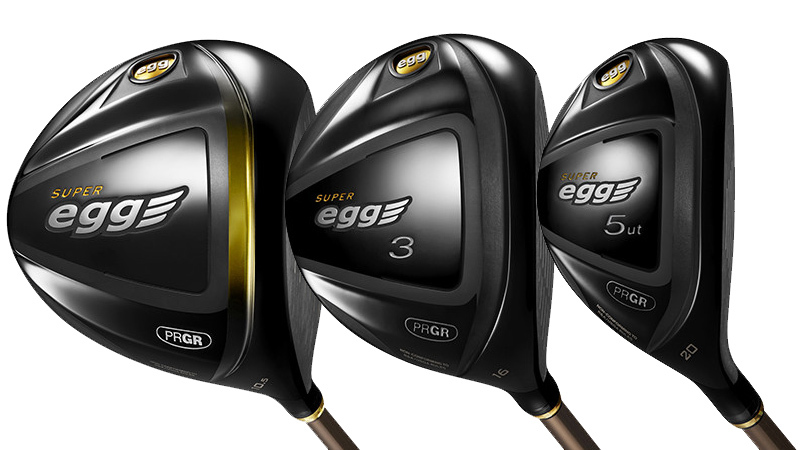 The next conforming model is simply known as EGG Driver (no super) and it comes at 45.5″ with a 195g head. There are other differences between the SUPER vs the CONFORMING versions. The super has that sole channel and no exterior weight visible. 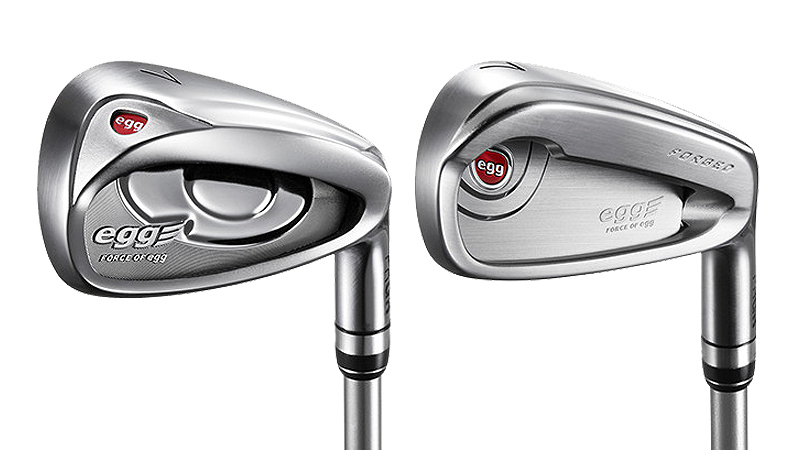 Next we have 2 new iron designs one geared to big distance and forgiveness the other for a touch more player yet still really long and easy to hit. This is the new Egg iron folks. We will sell a lot of these to those who want to hit the ball a lot farther. The models are the PC & PF. PC is the larger head and the pitching wedge is 37*! Thats 10 degrees stronger than my blades! The last PRGR Super Egg Iron released I could hit the #7 iron almost 200 yards straight, high and easy thats the type of loft we are talking about here. The FORGED version isn’t much different. It’s PW comes in at 38* It’s still a multi piece head with a stainless face and forged body that utilizes both S20C and S45C. People who get these really should invest in the optional clubs because few other products will align well with these. We have pictures and reviews coming later this week. I hope you enjoyed the introduction. If you are ready to Pre-Order you can do so by Clicking Here.